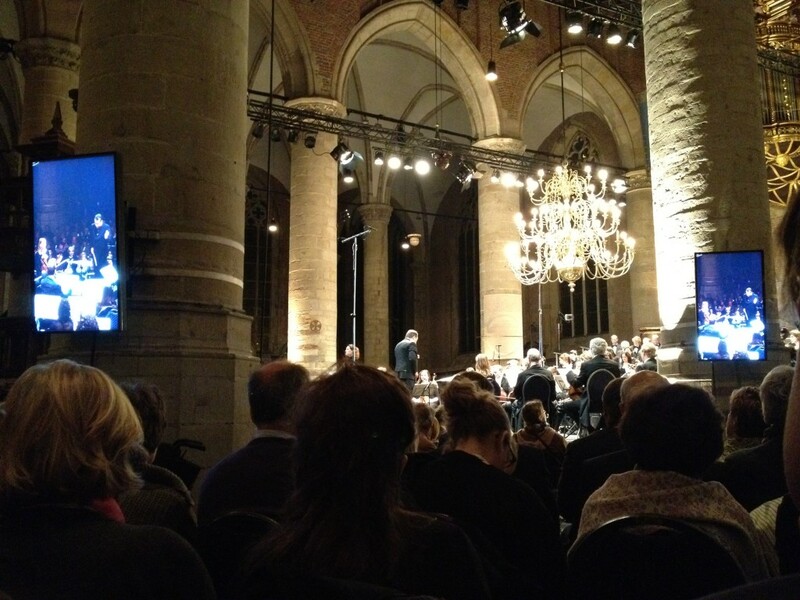 Yesterday Inger and Stefan invited me to join them to the St. Matthew Passion of Bach. It’s a tradition in the Netherlands to go there the days before Eastern. It’s about the crucifixion of Christ. It was beautiful. 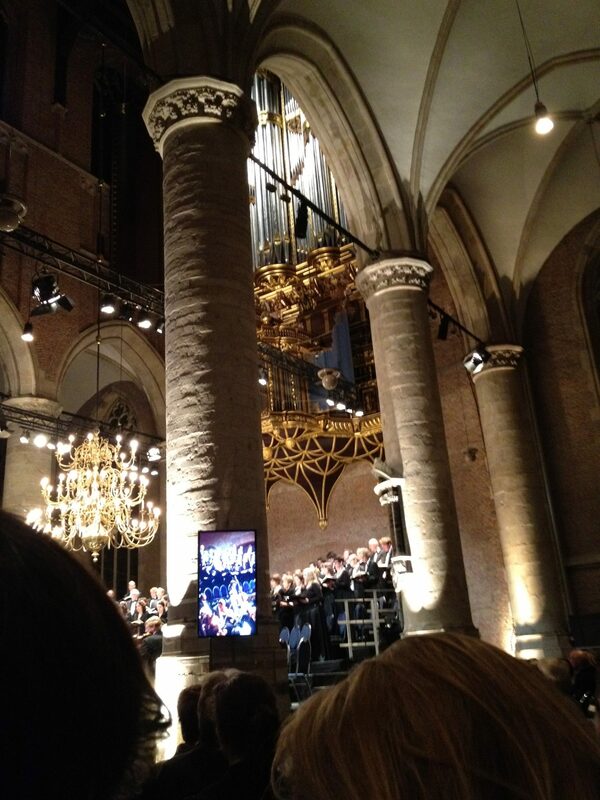 The choir is one of the best in the world and they played with the Royal Dutch Concert Hall Chamber Orchestra. The soloists sang almost fragile. That needed some time for me to adjust to, but with the combination of the tv screens you saw and felt their emotion. 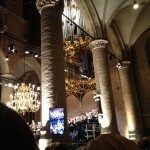 The concert was in the Pieterskerk in Leiden. That made it special for me. My mother used to be in the board of the church in the early nineties and she raised funds for the restoration of the organ. It’s immense as you can see in the picture. It has authentic organ pipes from 1448 and is been reconstructed in its 17th century state. Because of her involvement in the governance of the church, my wife and I were allowed to have our wedding party in the church. That was something special. I was sitting today where our Indonesian buffet was served. This time I read the text during the play and especially the original German text is beautiful. Only now I realized that predestination is everywhere in the play. There are no surprises to anybody. Jezus will tell what is going to happen and it happens the way he says. The actual crucifixion is only one sentence in the three hour play, as is the suicide by Judas. It feels almost like subordinate clauses. As if it says: ‘This is not what the play is about.’ While listening I realized that there might be a connection between baring the sinns of others and bearing emotions. Need some more time to dive into this.